Physio-Control White Epoxy Floor Stand AED Cabinet with Alarm. This freestanding Physio-Control AED cabinet is a smart, functional, and stylish alternative to a wall-mounted cabinet for your Physio-Control or compatible LIFEPAK AED. It’s an excellent option for visible, convenient AED storage when a wall may not be available to hang a cabinet. 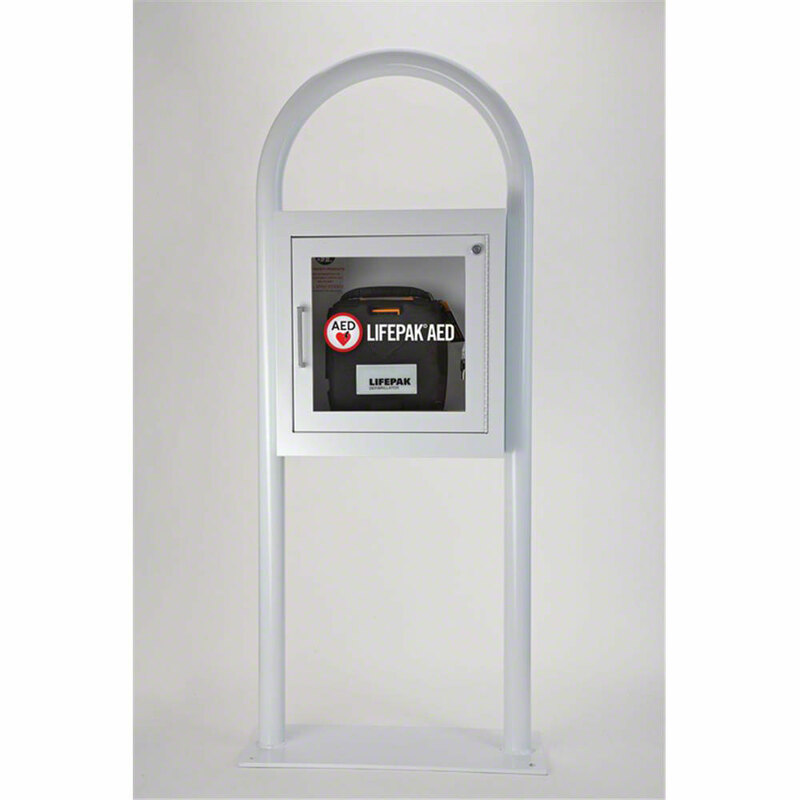 Sturdy steel construction: protects and prominently displays your AED. Durable white epoxy coating stands up to high-traffic areas and wipes up easily. Clean white color blends with many color schemes. Door-activated audible alarm alerts everyone in the area the AED has been deployed for rescue and calls attention to would-be thieves. Pre-drilled holes in base: allows the stand to be secured to the floor if needed, for safety and security. This cabinet is compatible with the following AEDs: LIFEPAK 500, LIFEPAK 1000, LIFEPAK CR Plus, LIFEPAK CR2, and LIFEPAK EXPRESS Defibrillators. Cabinet Size: 17.125" H x 17.125"W x 6.125"D D.Weight: 32 lb.